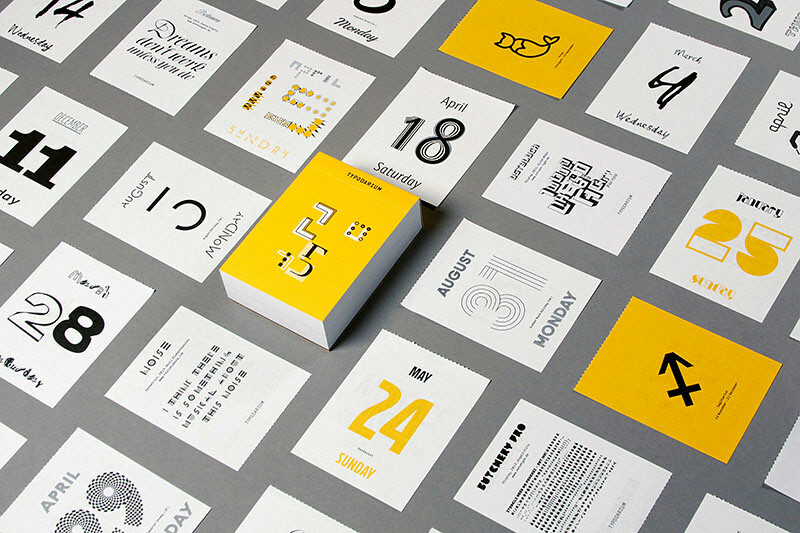 Typodarium 2015 is the daily typography dose. A tear-off calendar, just like the one our grandma used to hang in the kitchen. 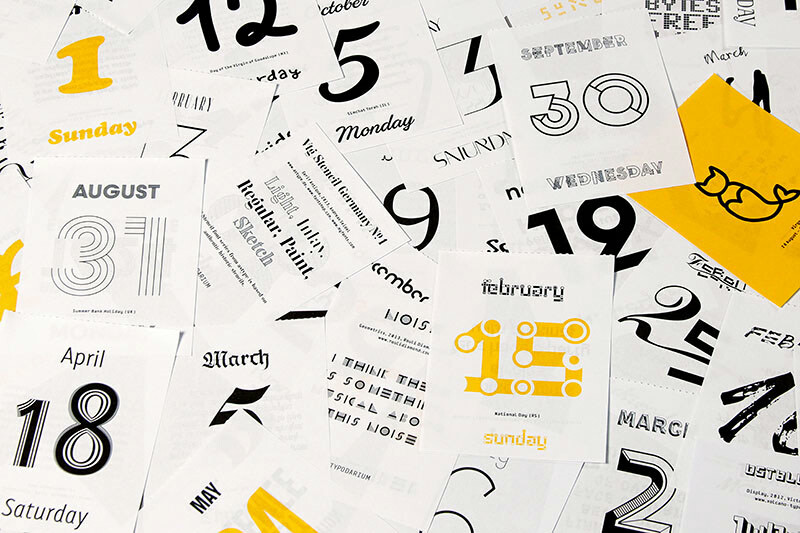 But this calendar unveils a new font everyday. We can therefore have, a whole year long, the chance to broaden our knowledge, to discover the font’s history and development, to possess a piece of jewellery that is new everyday. On the front, the font will be prominently displayed, and on the back it will be described in details. How it originated, from what or who came the inspiration and where we can obtain the font. 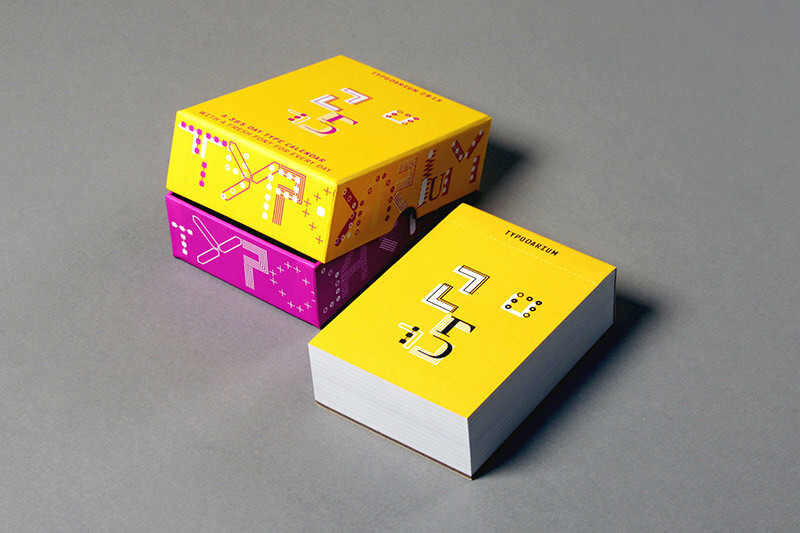 Very proud to be featured with the font “2200 Kærlighed” in Typodarium 2015. 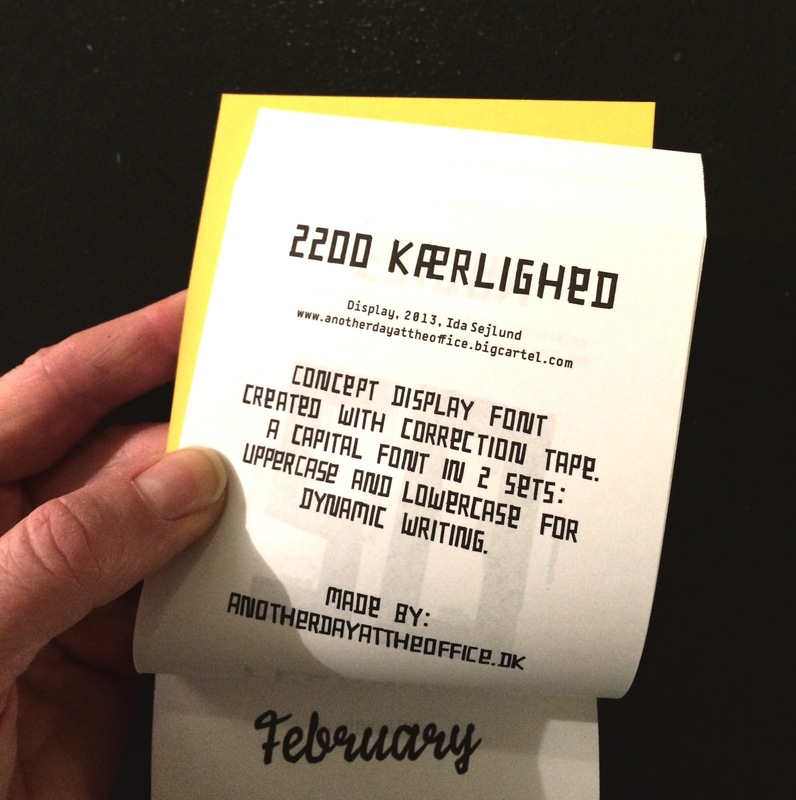 “2200 Kærlighed” is a concept display font, created with correction tape and developed into a actual writing font in 2 versions for uppercase and lowercase writing. It resembles the large scale mural graffiti text paintings at Nørrebro in Copenhagen. © 2019 another day at the office All Rights Reserved.